Firsts are always significant, but they are just the start. First steps, first day at school, first driving lesson. They come with the appropriate fanfare, but they are as they say on the tin, just the beginning. 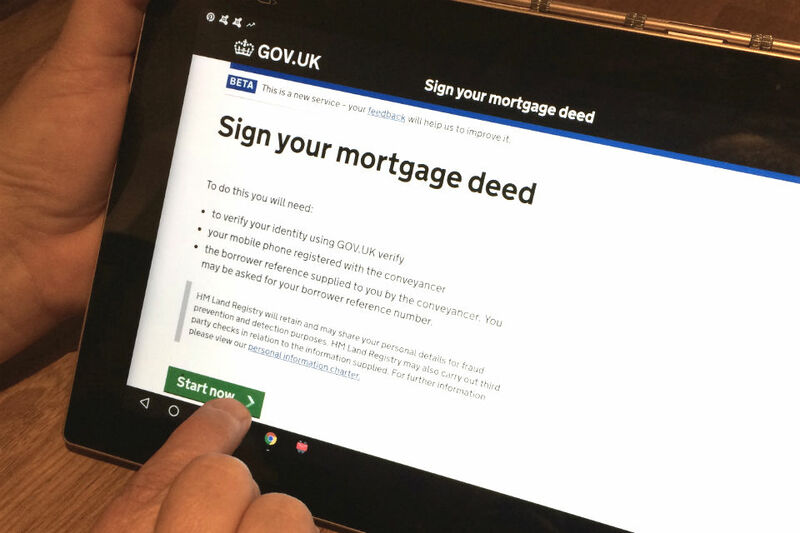 Last week, the Sign your mortgage deed service achieved a first, with the first ever digital mortgage deed being registered in the Land Register. The service will speed up the remortgage process by enabling borrowers to sign their mortgage deeds online at any time, once they have successfully verified their identity through GOV.UK Verify. This first was a big step for the Sign your mortgage deed team, for the mortgage lender (Coventry Building Society), and the conveyancer (Enact Conveyancing). It followed months of hard work to get the service into use and I am very proud of the achievement. We’ve been working in a private beta environment with Coventry Building Society and Enact Conveyancing. This has enabled us to iron out a few final teething issues as we live-tested a pilot of the service. In doing this, we saw the first deed registered for a home in Rotherhithe, London. This was a fantastic achievement that I have been proud to be part of. It is excellent to see all the effort that has been put in by so many people turn into a successful outcome. But what are the takeaways and what’s next? This new service has borrowers, lenders, and conveyancers as its users. They each interact with the service in a different way. We have tested the signing service with members of the homeowning public many times since we started development work. Because of this, I am confident that the service is simple to use. We are working with lenders to improve the process for creating a digital version of their mortgage deed. We’ve also been liaising with conveyancers to help ensure that the service does what it needs to do from their point of view. Through speaking to a broad range of users, I am confident that we have a service that will work for the majority. We might not have all the features that everyone would like us to have at this stage, but we will iterate the service from this point in response to user feedback. The IT that underpins the service has many complex interactions with other systems. I have found that doing the most complex work as early as possible can help improve confidence in delivering the rest. Sometimes by making a small change, we have been able to remove the bulk of the complexity and still have a service that works. This has enabled us to get a working service in front of users much more quickly. Working closely with Enact Conveyancing and Coventry Building Society has been invaluable in helping us to introduce this service. They have supported us as we have live tested the service, and this has helped us to iron out initial issues. Finding ways of testing a complex service in its live environment poses several challenges. We’re continuing to explore ways of improving how this is done safely and securely so that we minimise the impact of any future changes on our users. We will continue in private beta over the next few months. During this time, we will be looking at scaling up the service to support an increasing number of users. We will also be looking at how we can make the service more flexible so that a conveyancer can manage a transaction in conjunction with an intermediary. I’m delighted by the responses we’ve had to our ‘first,’ but I, along with my team, am focused and excited by what’s next. We’ll be increasing the number of digital mortgage deeds under our belts with Coventry Building Society and Enact Conveyancing. All being well, this summer we will work with more lenders and conveyancers to open the service up as a public beta, so that more users can benefit from a simpler and faster remortgage process. And on not receiving uninformed comments like some on the Law Society Gazette website. These illustrate how important it is for you to innovate and show the public how conveyancing can be brought up to date. How does the actual 'signing' bit work? The signing process from a user perspective is quite straightforward. 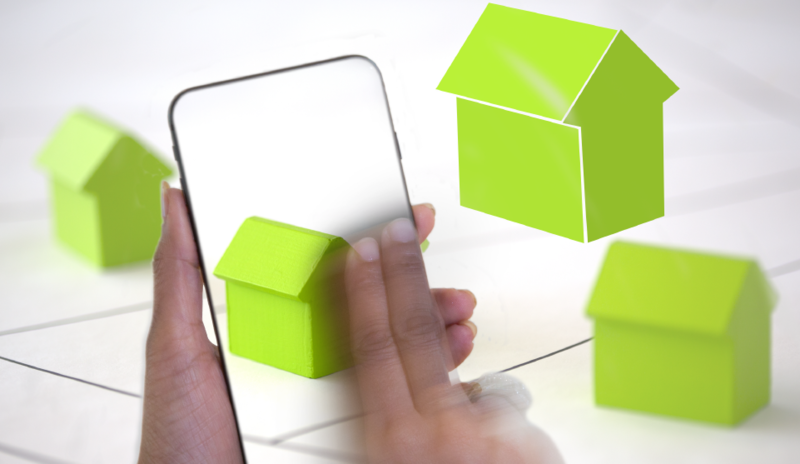 At the start of the transaction, the borrower will have given the conveyancer details of their mobile phone number. Once the deed has been created by the conveyancer, the borrower will verify their identity using GOV.UK Verify. They will then be able to view their mortgage deed. To sign the deed, they will need to request that a code is sent to the mobile phone number that they gave to the conveyancer at the beginning. The code is sent to the phone by text message, and the borrower can enter this. They then press a button to confirm they are signing the deed. Once they have done this, their electronic signature is applied. The signing process makes no attempt to create an electronic version of a handwritten signature as this is not required. My colleague, Joy Bailey, talks more about the legal and other aspects of electronic signatures in her blog: Executing a document using an electronic signature. Good work. I'm looking forward to using the service myself very soon. Excellent, I think conveyancing in general needs more modernisation like this. Lets hope more and more modern features are brought into the field, to allow Conveyancers to do the actual legal works required.